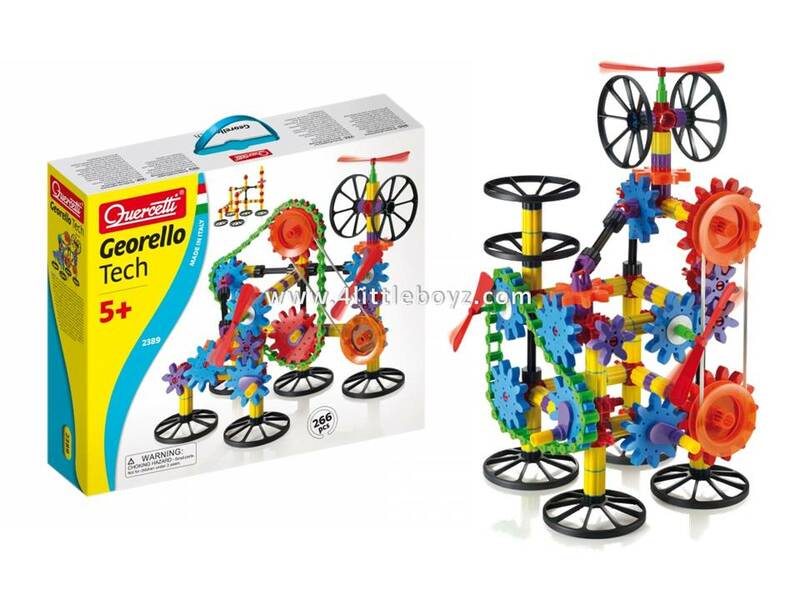 Build elaborate three-dimensional structures, then attach the gears and get everything moving with an amazing chain reaction effect. 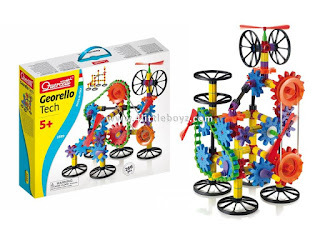 This clever construction set is really unique because pieces can be connected even diagonally! Georello Tech includes an exceptional universal joint that transmits rotation to distant gears on different levels thus reproducing a fundamental mechanism found in many kinds of machinery. 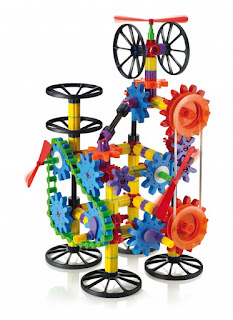 The universal joint system gives children great creative freedom as they can build separate structures with long rotating connections with exciting results. 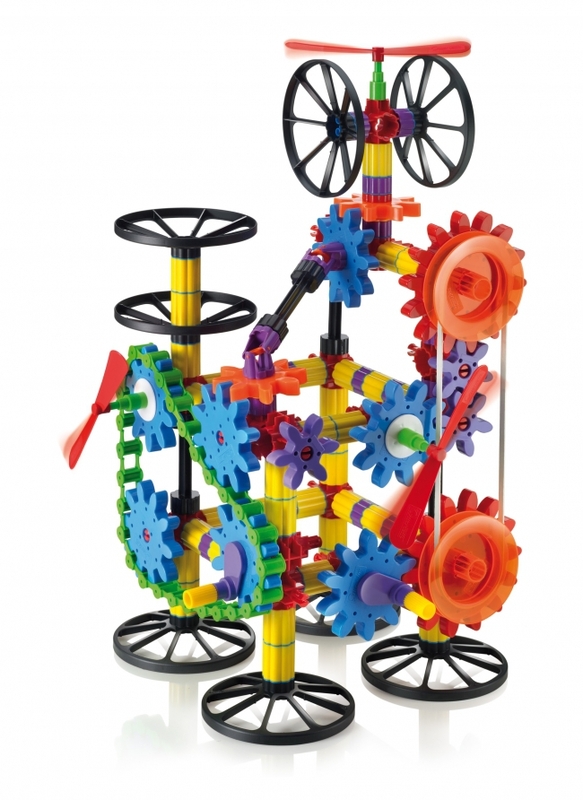 Also included are the new chain and the elastic belt that transmit rotation to distant gears. 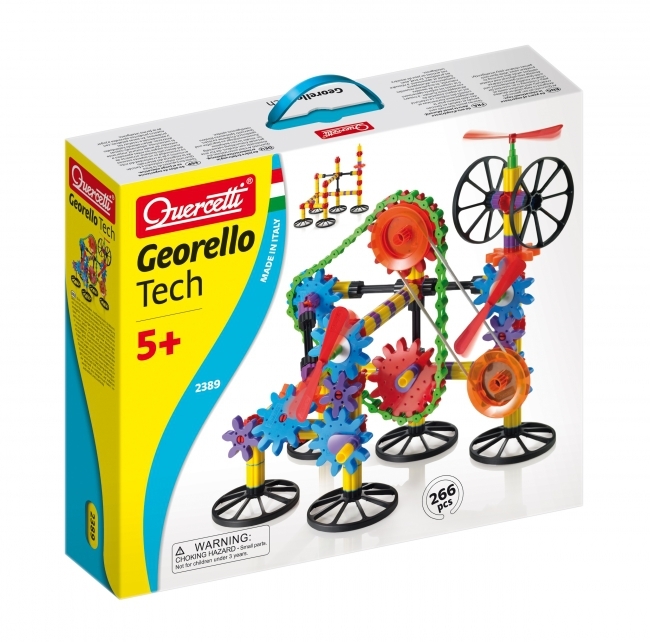 Georello Tech will not only help your child discover the first principles of mechanics, but most of all, it will also guarantee hours of great fun. Totally unbreakable and safe.